Onyok Pineda Will Be Liza Soberano's, 'DING In The Upcoming Darna?! As of now, we all know that it is confirmed that Liza Soberano will play Darna in the upcoming Mars Ravelo’s famous Pinoy superhero Darna, but we are also all interested who's going to play as Darna’s sidekick, Ding. 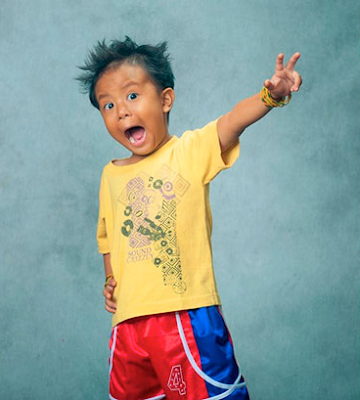 There are several child stars today who's likely to be the next Ding but the name currently leaking online is the Ang Probinsyano child star, Simon Ezekiel Pineda aka, Onyok Pineda. Reports are stating that the reason that Onyok finished his Ang Probinsyano character is that he is currently shooting Liza Soberano’s Darna as Ding, the little brother of Narda and sidekick of Darna. Meanwhile, Alonzo Mulach, Awra Briguela and Enzo Pelojero are just some of the other kids being reported to perform as Ding but no one verified it yet. What do you think about Onyok Pineda playing the next Ding? Is it going to be another famous child or a new kid? Just comment below. Let us know your thoughts about this.